Family Yoga and GLOWGA Prep. Super fun Family Yoga class at Tula yesterday. The Wicklanders attended, which is always a hoot. They are fearless and fun and help me try out new partner poses. 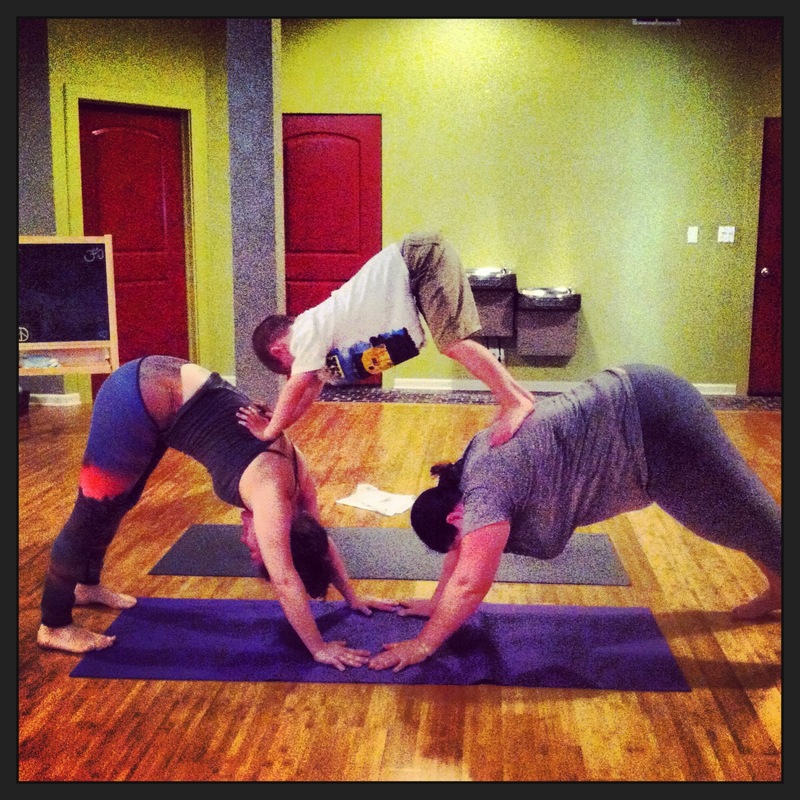 Finn and Sarah, two Family Yoga regulars, attended as well and they always rock. 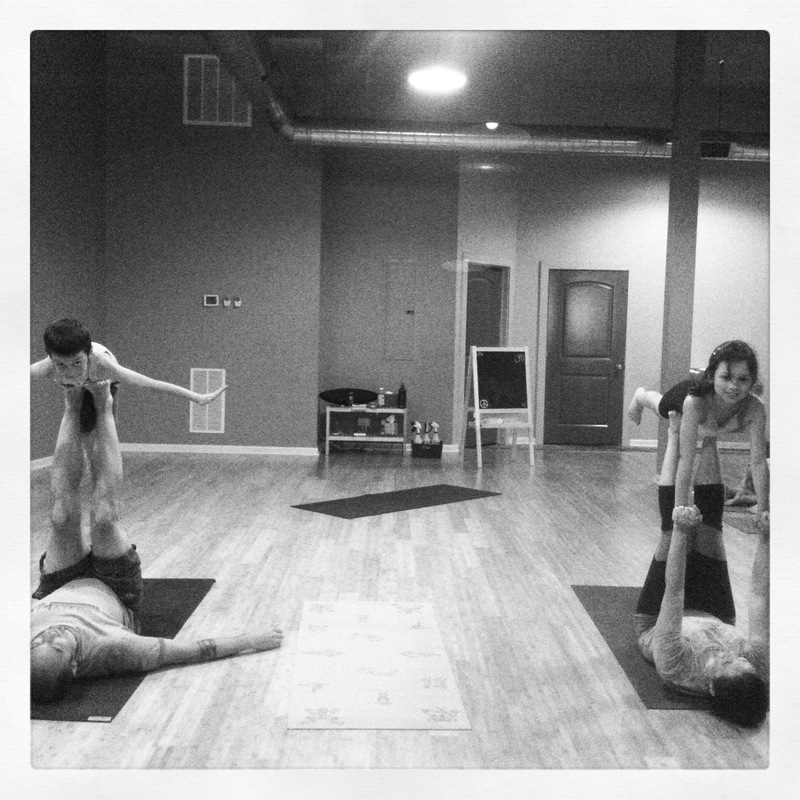 We did Acro Yoga and a human down dog pyramid, oh my. After our acrobatics session we chalked the front sidewalk with drawings of yoga poses. 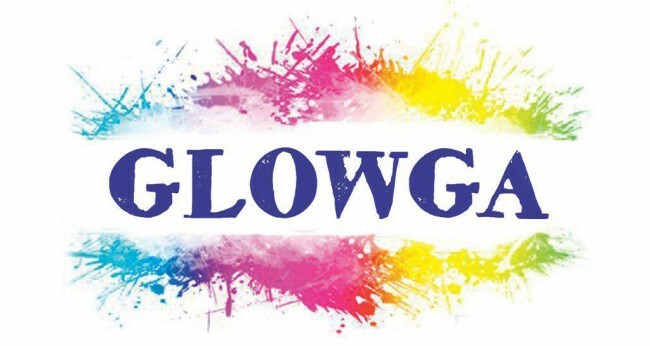 Also…In case I haven’t mentioned it lately: GLOWGA is coming soon! July 27th at 8pm to be exact. Tula will change all of their studio lights to black lights, and black out the windows and the yogis will wear glow paint and glow-in-the dark bracelets, necklaces…Afterwards we will get our glow-in-the-dark flow on for 90 minutes to trance-y house music. It will be a blast. In the future we might try something like this for the kiddos, stay tuned! If you’re attending and you have requests for GLOWGA music, message me or leave a comment. That sounds like a lot of fun Cassie!!! Aunt Cheri Shanks Cant wait to see you!!! I cant wait to see you either!! !